Early on Friday, October 12, the Nobel Committee in Oslo surprised many by giving the Nobel Peace Prize to the European Union or EU, rather than an individual. The peace prize is historically bestowed upon individuals like Mother Teresa and Archbishop Desmond M. Tutu for fighting injustice, ending wars, and helping people in need. Last year’s peace prize was shared by President Ellen Johnson Sirleaf of Liberia, Liberian antiwar activist, Leymah Gbowee, and Tawakkol Karman, a democracy activist in Yemen. This year, the Norwegian panel weighed 231 nominations before deciding to award the 2012 Peace Prize to the EU, even as the supranational organization faces its most serious crisis since it emerged from the ruins of World War II. Speaking in Oslo, Thorbjørn Jagland, head of the Nobel committee, dismissed the EU’s problems, stating that the institution had been a force for peace both after the World War II, and following the bloody slaughter of the 1990s in the Balkans. Citing EU achievements, Jaglan proclaimed, the “main message is that we need to keep in mind what we have achieved on this continent, and not let the continent go into disintegration.” Jagland cited several key EU achievements. He said another conflict between France and Germany was “unthinkable” following 70 years as close allies. 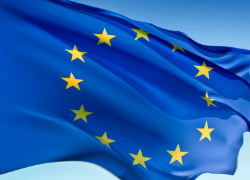 The EU is often described as a “family of democratic European countries, committed to working together for peace and prosperity.” The origins of peace in Europe lie in the alliance made between France and Germany that gave birth to the European Coal and Steel Community, a forerunner of the EU. The EU, which now claims 27 member states, came into formal existence through the Treaty on European Union, signed at Maastricht in 1991. Since the EU came into existence, the continent has seen consistent peace, and international security remains one of the EU’s top priorities, not just in Europe but in the rest of the world. In addition, the single market is probably the EU’s single biggest claim, though the two achievements seem to be interrelated. In addition, the EU accounts for half of all global aid, €53.1bn last year alone. However, the Nobel Committee’s announcement to give the peace prize to the EU was met with mixed reactions. On one hand, many politicians and world leaders praised the decision, as is evidenced by German Finance Minister Wolfgang Schäuble’s statement that “the award of the Nobel Prize of Peace to the European Union reminds us that the EU is endlessly more than [interest-rate] spreads and bailout funds.” Likewise, José Manuel Barroso, president of the European Commission, said the award proved that the European body was “something very precious.” Barroso also stated that the award was a “justified recognition” of a unique project that works for the benefit of its citizens and the world. In contrast, others in the international community were not so pleased with the Committee’s decision, “mocking the award to an agglomeration of countries, many of which are in recession and internal turmoil.” Rania Svigkou, a spokeswoman for Greece’s Syriza party stated that the “award of the Nobel Peace Prize to the EU is an insult to the people of Europe themselves, who currently are experiencing an undeclared war as a result of the barbaric, anti-social austerity policies that are destroying social cohesion and democracy.” Likewise, Nigel Farage, a British Eurosceptic, allegedly remarked: “This goes to show the Norwegians really do have a sense of humor.” Another Brit, Martin Callanan, a member of the European Parliament and the leader of the European Conservatives and Reformists Group, stated that “the Nobel committee is a little late for an April Fool’s joke,” further stating that the EU’s policies have exacerbated the financial crisis. The Nobel Peace Prize Committee has made little secret that the prize is being given in part because of the current predicament that the EU finds itself in. In response to a question about the decision, the secretary of the Nobel Peace Prize stated that the Committee was trying to send a message to the European public, urging them “to secure what they have achieved on this continent.” Thus, it seems feasible that the Committee is giving the award, in part, as a means to plea for support of the endangered EU at a critical moment in the institution’s history. Kate Hennessy is a 3L at the University of Denver School of Law and Staff Editor of the Denver Journal of International Law and Policy.